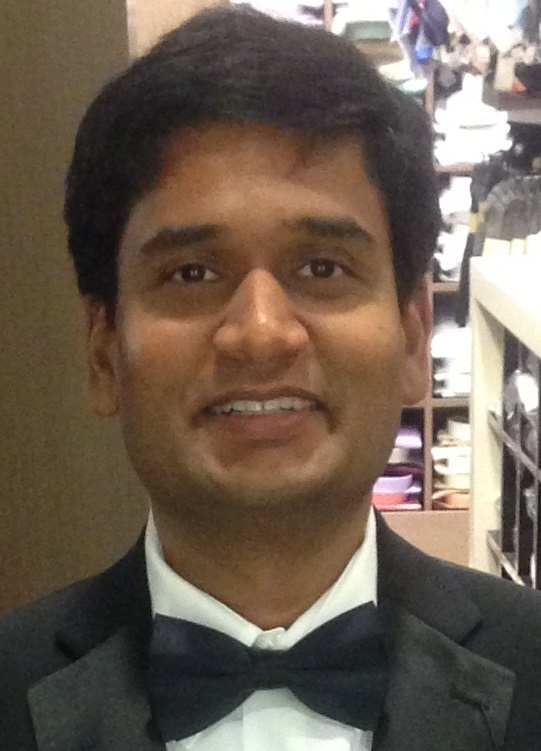 Our featured member this week is Mohammed Shaik Hussain Ali. Based in San Francisco, Ali is a senior software engineer at Splunk. He has been in San Francisco for eight years and has held a variety of roles in the tech sector. With a multifaceted identity – South Asian Indian Muslim Gay – and 8 years as a San Franciscan, I have been involved in multiple Bay Area organisations. All the while I was thirsty for a space which Muppies promised to fulfil: a professional group with a social component. Membership provides a sense of connection with the local and national community at-large. Expanding my circle of acquaintances, improving know-how of the world and learning the expertise of diverse trades are some unquantifiable benefits. Patience, Perseverance and Preservation. The hare and the tortoise story is one of my memorable moral stories – slow and steady wins the race. Sounds clichéd (and maybe even corny) but, come to think of, happens to be the truth. I have a motto for my life – don’t be influenced by society, instead, become an influencer. Who would you say have been your greatest personal or professional mentors, how did you meet and develop relationships with them, and how have they helped you in the process? I always wished for a role model. The lack thereof strengthened my determination – if I couldn’t find a role model, I would become one. It was, of course, difficult to not have a mentor during my formative years, though it helped me to become an independent person at an early stage and gain wisdom at a faster pace. Can you tell me about a time you failed and what you learned from it? Life is about learning through failures. There are so many moments that picking one diminishes the value of the lessons that each failure taught me. One lesson that is etched – fall often, but not in the same manner more than once. What is one of your current personal or professional development goals, and what are you doing on a daily/regular basis to achieve this? Writing is one of the two passions I garnered over the years. To that effect, I published my first novel – The Seeker and the Beginning – in 2014. I aim to finish off other books in its series. ‘Change is the only constant’ was someone’s saying. I make sure to be up to date with what and how much the world has to offer. What practical leadership advice do you have for others? A leader need not be the most experienced/talented/knowledgeable person on the team. A leader needs to be the most passionate person on the team. A leader must be the first to brace the impact of the fall, while being the last to hold the trophy of the battle. The mark of the leader is in the ability to be a part of the team. Do you have any productivity tips that you’ve used to balance everything? Nothing out of the ordinary. Perhaps the best tool is simplicity. Breaking down tremendous amount of tasks into ordinary, easy and lazy chunks makes the work faster, efficient and successful. Always the toughest question for the last – paraphrasing a three-decade long journey! While growing up in a world, with omnipresent bullies, the hope that it will get better with time has been the force that kept me moving. Teaching myself the hard truth – not to be afraid of failure and not to be proud of success – has been a challenge. Being a science student, I always take solace in the science behind the existence of the most precious minerals – only after tremendous temperature and pressure does a piece of coal turn into a sparkling diamond. One lifetime may not be enough to be roughed into a diamond, but hoping to at least be shaken up into diamond-dust!